Kale and Rainbows @ Prospect Cottage. 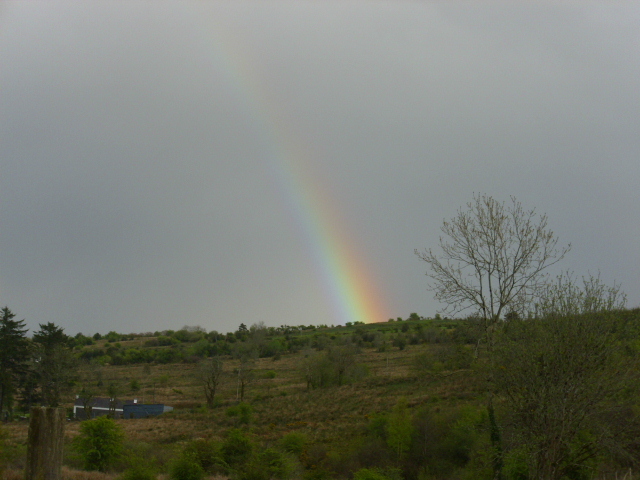 A rainbow fading out over the hill in front of the house a few evening’s ago. I love rainbow’s…they always make me think about my Granny’s stories of how if you caught a Leprechaun, and could hold onto him, you could force him to lead you to the crock of gold at the end of the rainbow. The Leprechaun’s were very clever and would always think of some way to frighten you into letting go of them. They would then run off laughing and leaping with joy at fooling a stupid human again. Back to present times and today we pulled the last Kale plants to make way for new plantings. 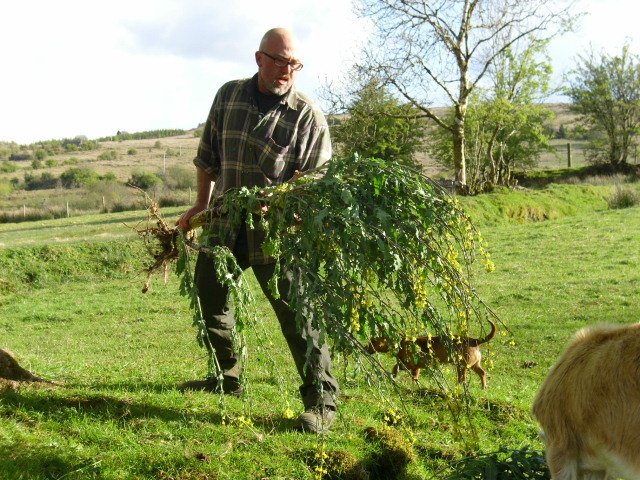 Such a great plant, we were provided with green pickings all Winter, then the seed heads for the last few weeks. 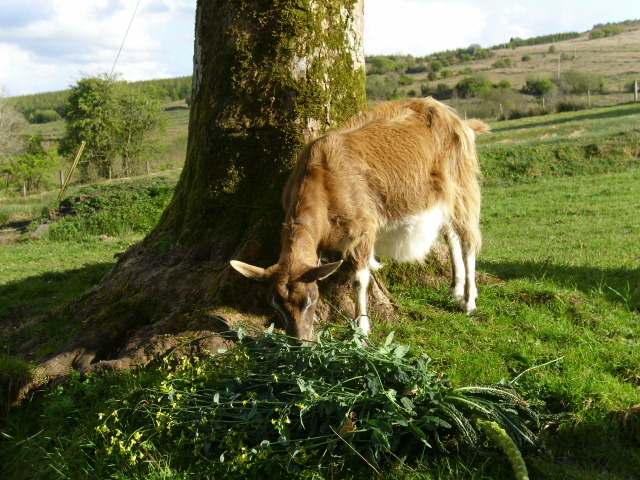 Today the Goats got to have a meal from them too. Value indeed! I don’t put the stalks in the compost as they take ages to break down. Some of the plants were huge, this one was 5ft tall. Kale is a very hungry plant so ground where it has grown needs to be well fertilised before the next crop. It is also a very nutritious plant being high in calcium, iron, sodium, vitamin C, carotenes and chlorophyll. Carotenes have anti-cancer properties helping to guard against the development of cancer if consumed regularly. 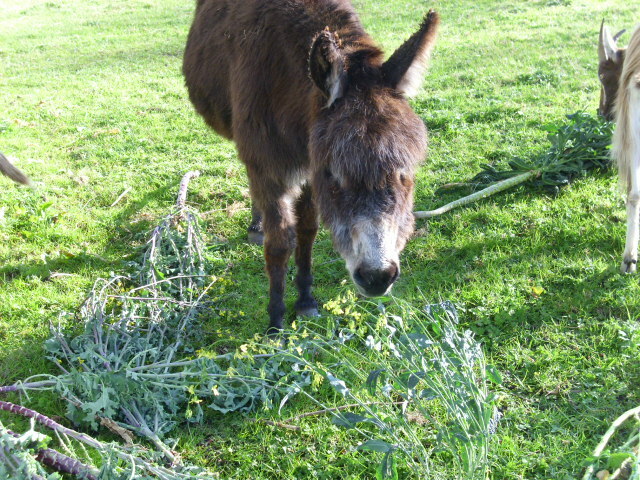 Even Daphne, our lovely donkey girlie, came to have some Kale. Smart girl, she knows what’s good for her. The last of our Kale harvest went into a soup. 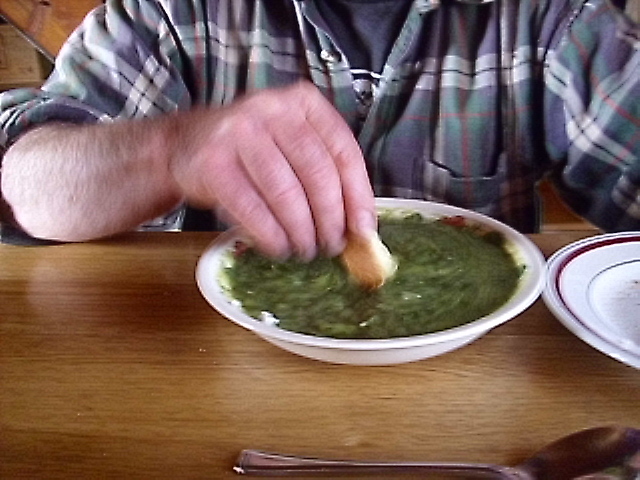 Together with Leeks, Potatoes and a few Nettle tops it made a delicious nutritious meal. 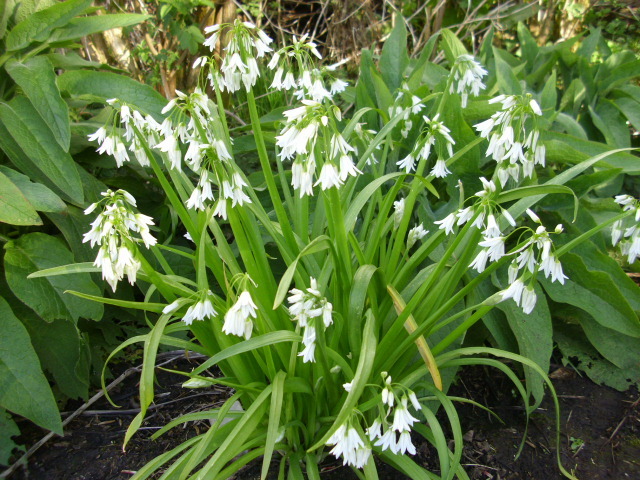 In a shaded part of the garden is this Wild Garlic. I don’t know the proper name of it. I got a clump of it from a friend last year, she did’nt know the name either. Anyone out there know? It can be used in the same way as Ransoms, all parts edible.